Membership library Folio: The Seattle Athenaeum moved to the Pike Place Market earlier this month. And The Neverending Bookshop in Bothell will be moving to the Perrinville Town Center, located between Lynnwood and Edmonds. Up a pleasantly creaking wooden staircase at Pike Place Market, above the noise of the fish throwers and tourist throngs, is a book-lined oasis of calm. Folio: The Seattle Athenaeum moved to the Market earlier this month, after two and a half years at the downtown Y on Fourth and Marion. Executive director David Brewster founded Folio in 2015, based on the traditions of independent membership libraries around the country dating back to Benjamin Franklin (who founded The Library Company in Philadelphia in 1731). It is, Brewster said, a gathering place for those who love books; comprising a 12,000-volume library (mostly from donations; another 10,000 are in storage awaiting cataloging), several airy rooms for quiet reading and meeting space for groups or special events. Though Folio did well at its previous location, amassing 600 members (dues begin at around $10/month; less for students or those under 30), Brewster wasn’t entirely disappointed when he was informed that Folio’s initial three-year lease would not be extended. The Y location, though a lovely historic building, was located in the financial district — “which shuts down after 5,” said Brewster. Options for dining in the area at night were limited, making it challenging for Folio to attract people to evening events. The Market, bursting with restaurants, shopping and history, feels like a better fit. “They were very eager to have us,” said Brewster, adding that Market officials were particularly interested in something that appeals specifically to Seattle residents as opposed to one-time tourists. The new space, upstairs in the Economy Market building at Pike Place’s south end (not easy to find, but signage is coming soon), boasts high ceilings, a piano, sparkling views of Elliott Bay and books, books everywhere, neatly shelved by genre. A nonprofit organization, Folio exists alongside other establishments in what Brewster calls the Community of the Book: public libraries, bookstores, literary organizations like Seattle Arts & Lectures and Hugo House. Because of its small size, it can offer something unique: a setting that’s “intimate, quiet and companionable,” said Brewster. 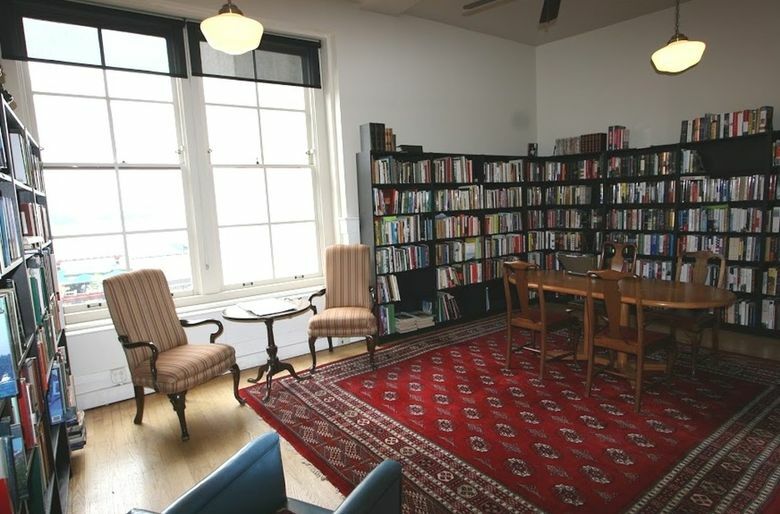 Membership includes not just the ability to check out books, but to use Folio’s welcoming rooms as a workspace. Nonmembers are welcome at Folio events (which generally have a small ticket charge; members get a discount), which include author readings, chamber-music concerts and panel discussions and forums. And anyone can help themselves to the selection of free-for-the-taking books outside the door. In the future, Brewster said, he’s dreaming bigger for Folio: a second location, maybe with a bookstore or cafe or a performing space. (Brewster is no stranger to dreaming big; his previous Seattle innovations include Seattle Weekly, Town Hall, and Crosscut.com.) For now, the organization is happily settling into its new home, with numerous new projects simmering: book clubs, a series of events in collaboration with HistoryLink (whose office is just down the hall), a science fiction/fantasy writers’ group, a political reform group, a media project. It’s a rich mix, brought about by bringing together those who love books and ideas. Folio is now open 9 a.m. to 6 p.m. Monday through Friday; for more information, see folioseattle.org or call 206-402-4162. Also in the category of Comings and Goings in the Community of Books: The cozy Neverending Bookshop, which has been selling new and used books in downtown Bothell since 2015, also recently faced losing its lease — but, like Folio, this story has a happy ending. 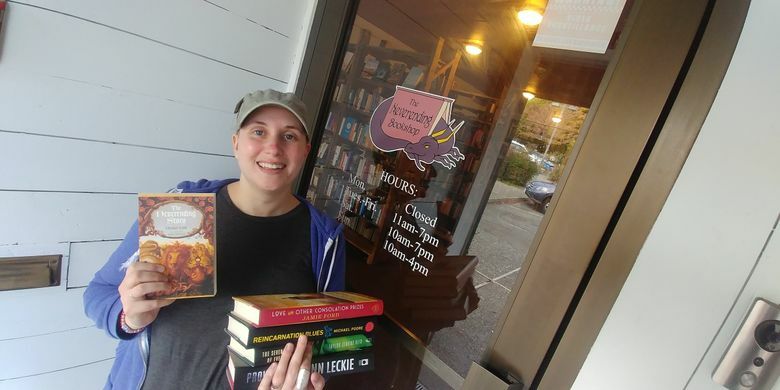 Owner Annie Carl says that her shop, a general bookstore with particular strength in science fiction/fantasy, romance and YA, will move at the end of the summer to the Perrinville Town Center (located between Lynnwood and Edmonds, at 7530 Olympic View Drive). The move was a bit unexpected; Carl said her landlady only told her a few months ago that her three-year lease would not be renewed. “She just thought a bookstore wasn’t a good fit for the space,” Carl said. It is indeed a challenging location (I’ve been to the Neverending Bookshop twice, and both times struggled to find it in its tucked-away corner); perhaps there’s a silver lining to this move. 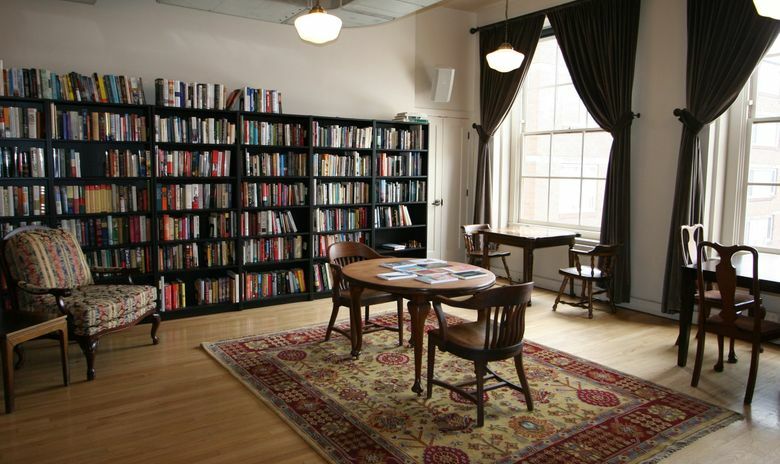 Last day in the old location will be Aug. 24; Carl hopes to reopen by early September in the new space, and is looking forward to surviving the move (“book Thunderdome,” as she says) and getting back to the work of putting books into readers’ hands. “Sometimes people come in and say, ‘I don’t read much, but what do you have for me?’” she said. “That’s one of my favorite things — to sell them a book that I’m hopeful they will enjoy and read and love. You don’t get into bookselling for many other reasons, except to share your love of reading.” Find updates on the shop’s move at theneverendingbookshop.com.